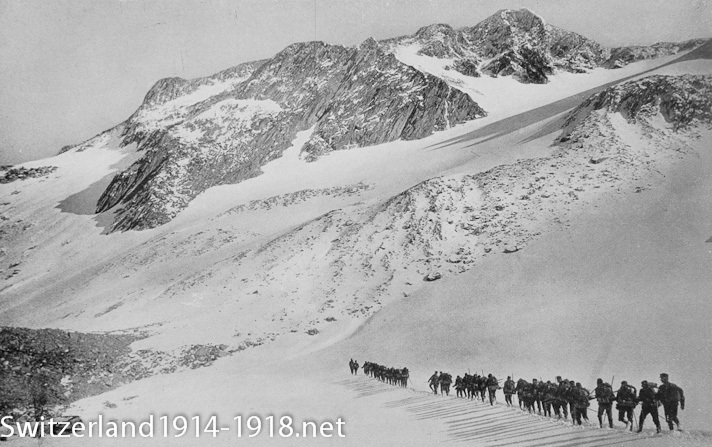 This page shows some photographs of Swiss troops in the mountains. Mountainous terrain features in central and southern Switzerland more than the north, so it would probably not have featured in an invasion of Switzerland by one of the warring countries. However mountains do make for a good photograph! 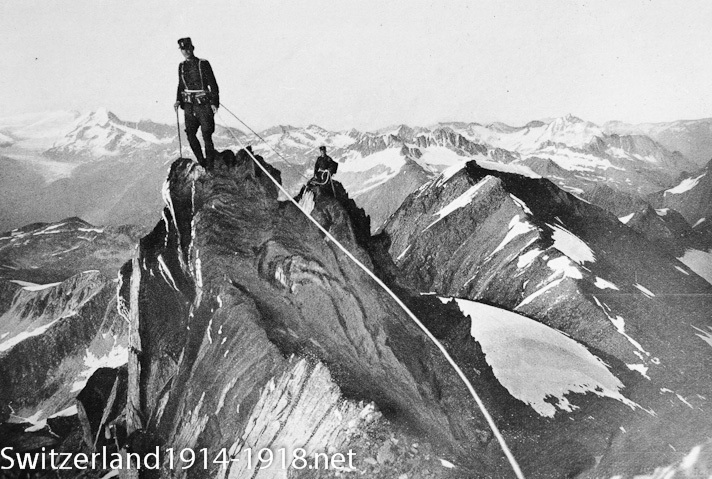 A patrol on the mountain tops. 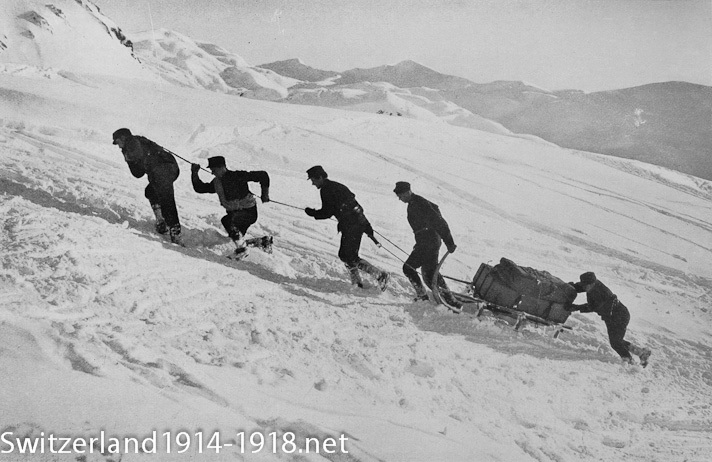 Pioneer troops in the mountains. 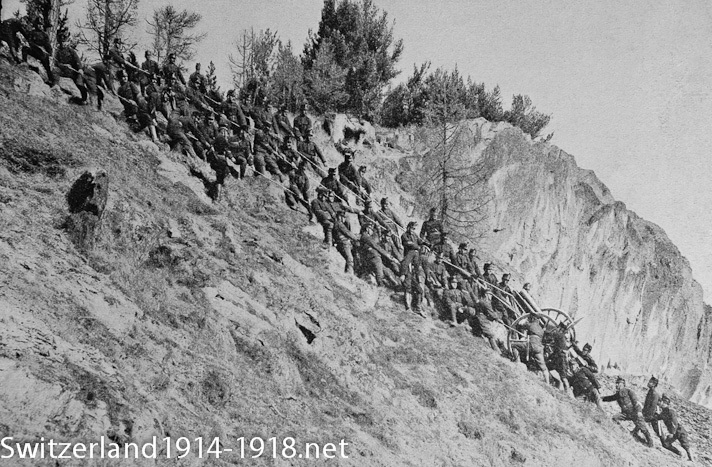 Over fifty soldiers pulling an artillery gun uphill. Was this a regular occurrence, or done just for the camera? Click here to return to the Swiss army index page.